What is the Difference in these English Greetings? Use this from noon until approximately 5:00 p.m.
Use this from approximately 5:00 p.m. to midnight. Use this from approximately 4:00 p.m. on. – you part with others in the evening. 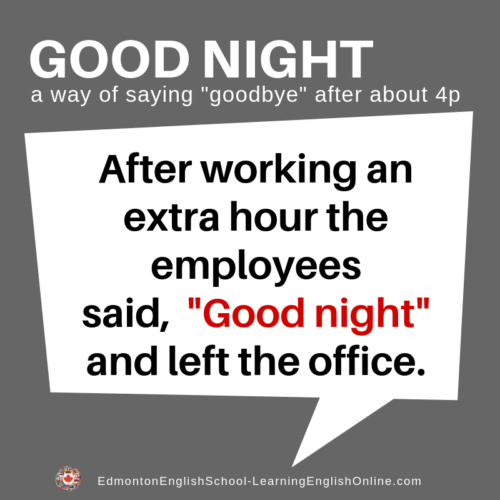 Note: When you say, “Have a good morning,” (or afternoon, or evening) it means Goodbye.